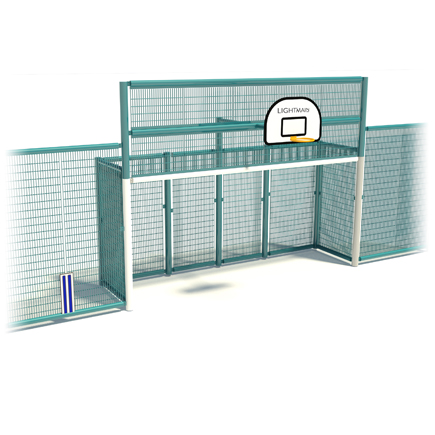 Our Large Square Back Goal End design features our Predator Sports fencing system and is supplied with basketball hoop and backboard. The goal end is enclosed – great for stopping the ball from escaping and disrupting play! We recommend this goal end in MUGA’s over 25m in width.